The enslaved potter Dave learned to write and read at Landrum’s newspaper, The Hive. In our last post we related how the Dr. Abner Landrum established the first pottery business in the Old Edgefield District at Pottersville or Landrumsville. The business was obviously successful for his brother Amos and John both established their own potteries soon after Pottersville. Lewis Miles married into the Rev. John Landrum family and for a while worked with his brother in law, Benjamin Landrum. When John Landrum died in December of 1846 a major part of his estate went to Lewis Miles. 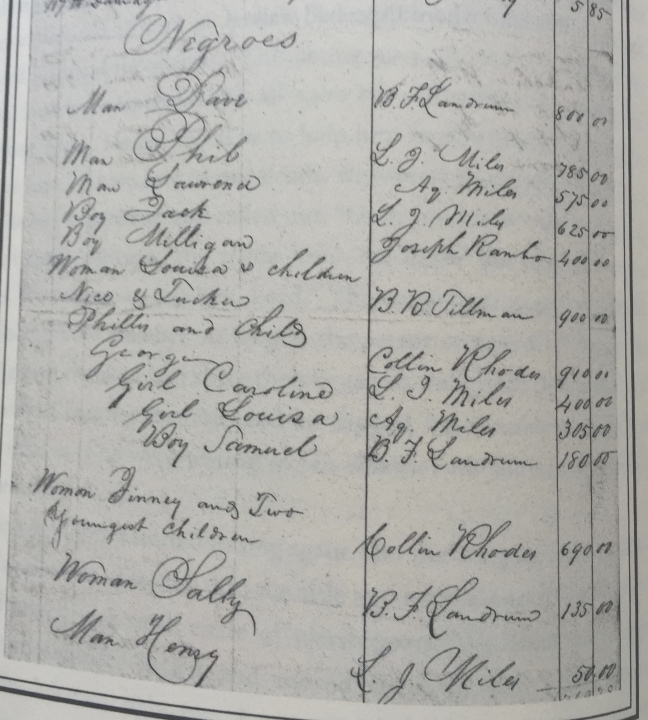 John Landrum’s will bequeathed Dave to B. F. Landrum – a harsh slave owner. 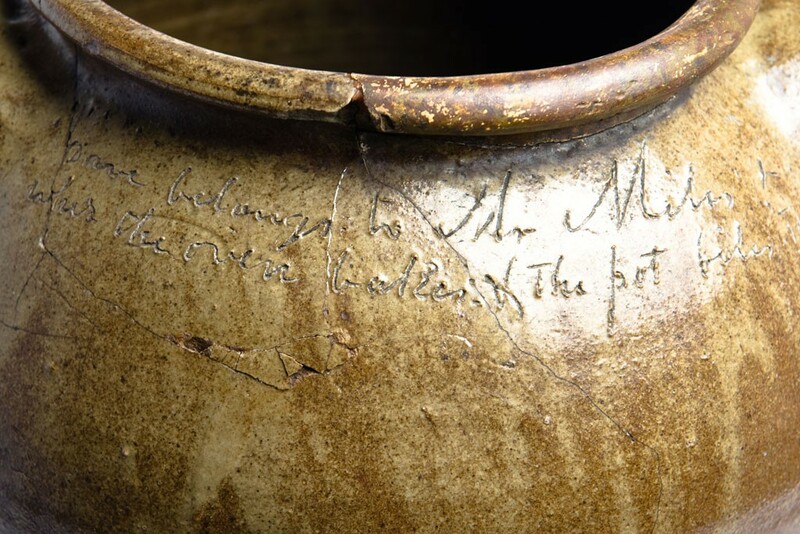 Lewis Miles owes much of his fame to the ownership of the enslaved potter Dave. Dave doubtless learned to read and write when he worked on the Abner Landrum’s newspaper, The Hive, in Edgefield. He later worked at the Abner’s Pottersville factory and appears to have written his name and date on his first pot in 1834. According to Landrum’s will, Dave became the possession of Benjamin Landrum. Yet it is clear that at some point this ownership was transferred to Lewis Miles. 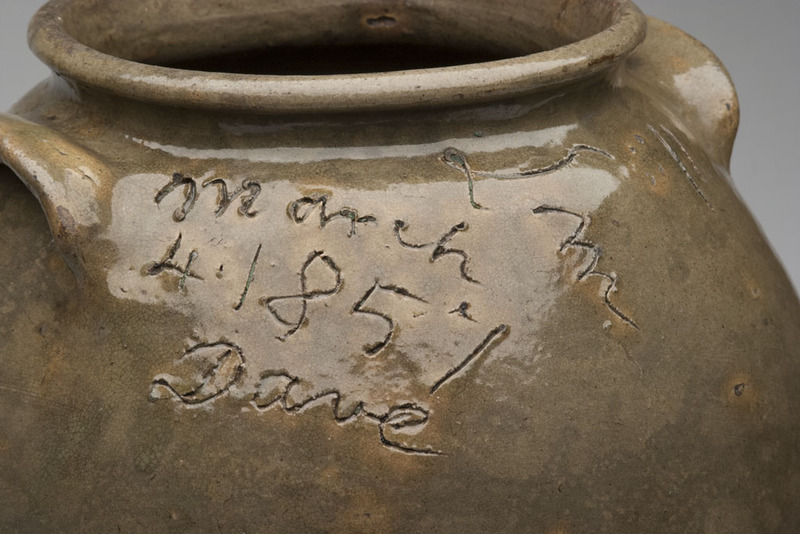 Dave wrote on one pot “Dave belongs to Mr. Miles…” And of course, there is a vast inventory of Miles ware on which Dave wrote dates and couplets. In the early stages of archaeological investigation into the Edgefield potteries the location of the Miles pottery was considered the grand prize. 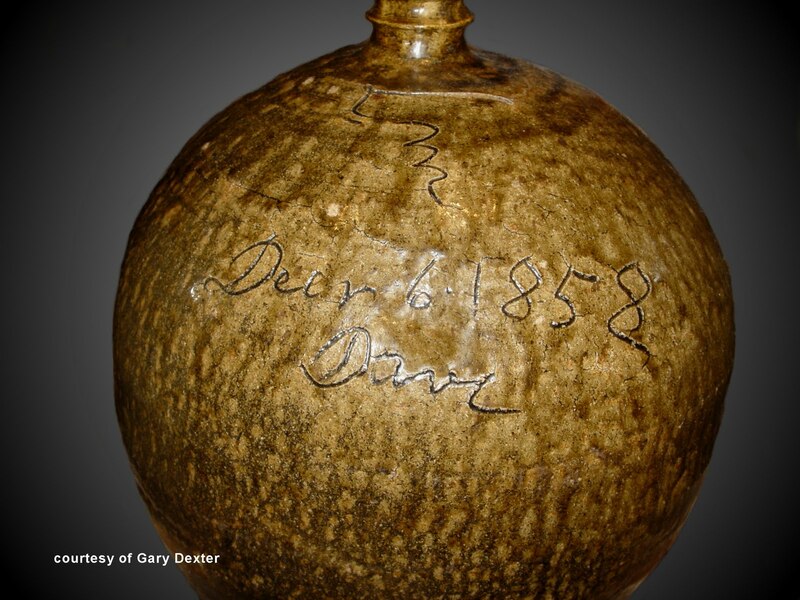 In 1859 Dave inscribed a large pot with the words “Made at Stoney Bluff for making lard enuff.” New Orleans archaeologist George Castille and his assistant Carl Steen began a survey of potteries following preparatory grant work by State Archaeologist Stanley South and myself. Finding the location of Stoney Bluff would have been a major discovery in view of the great interest in Dave. Castille and the rest of the archaeological community were unaware that one avid collector had already found the location and was keeping it a tightly guarded secret. Lewis Miles had, in fact, created potteries in a number of areas east of Edgefield. The reason for this is believed to the availability of stoneware clays and the large quantities of wood needed to fire kilns. Miles, we know, worked on Horse Creek and Schoolhouse Creek, and of course, on Stoney Bluff. in 1862 Miles announced that he had relocated and consolidated his business interests on “the Beaver Dam” four miles from Pine House – the spot where today’s Highways 19 and 25 cross. 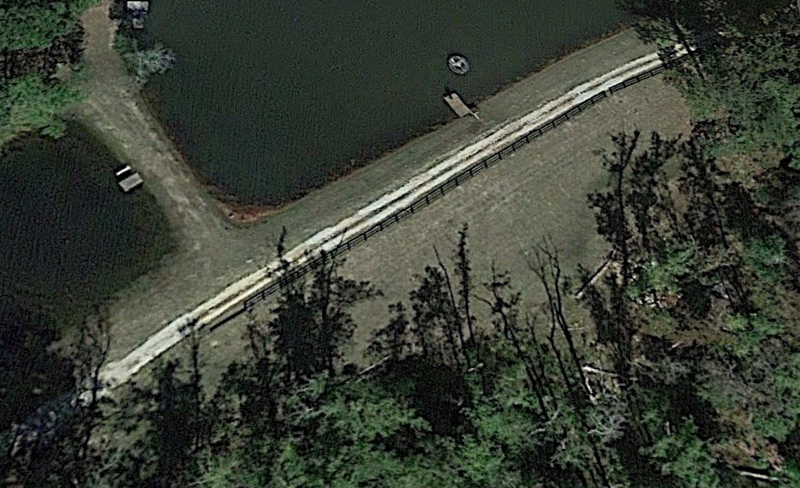 Many collectors and researchers have assumed this location was at a place called Sunnybrook (or sometimes Miles Mill)- a point where an old railroad line crosses the Aiken county and Edgefield county line. Lewis Miles stopped a train at this location that carried freight for his Beaver Dam pottery – and this is the source of the Miles Mill name attached to the Sunnybrook location. We know now that the pottery at “Beaver Dam “was in fact located some distance away from Sunnybrook. The Beaver Dam location today. 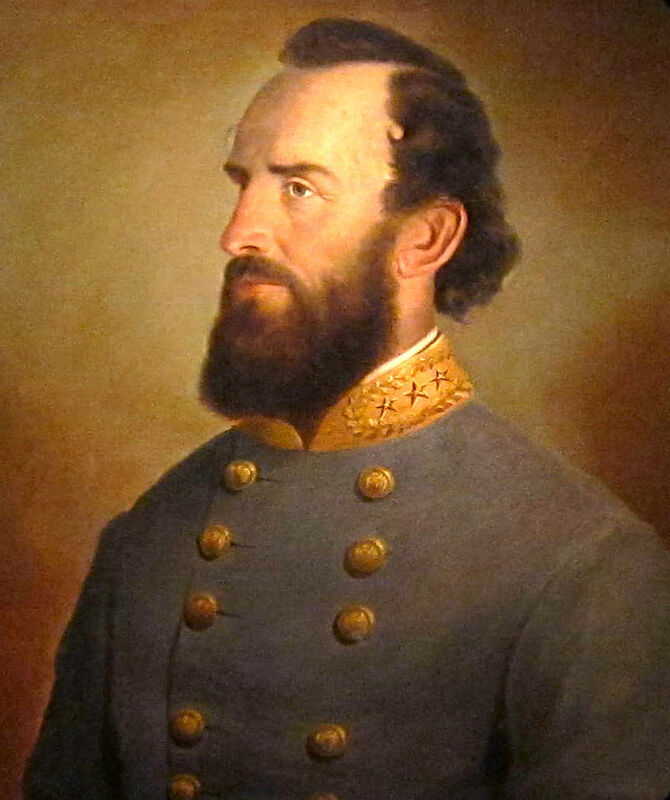 General Jackson – Miles shared the high forehead. He said he always gave generously to the poor. Miles, according the Flesher, was aware that the Civil War might not go well or the south. He asked Dave to make some narrow jars with small necks and in these he stored gold and silver coins. Several of the jars were found by descendants after Miles’ death – so clearly he did not recover all of them after the Civil War. It is believed that not all of the jars were found – Miles’ grave at the Baptist Springfield Church Road was violated in later years by looters in search of more jars. 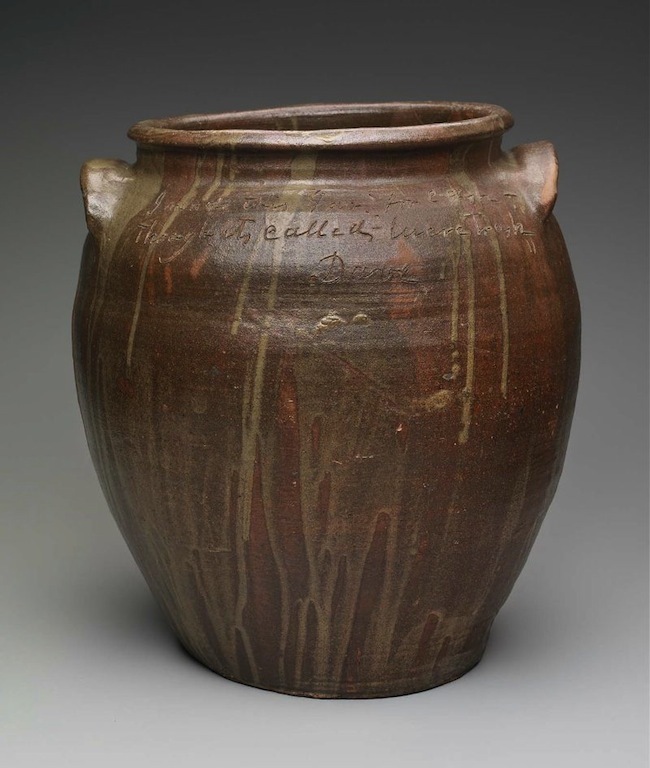 During Castille’s initial survey of Edgefield pottery sites in the mid 1980s, his assistant went to a pottery site known to have been used by Joseph Gregory Baynham. The site was near Trenton and Eureka, South Carolina. 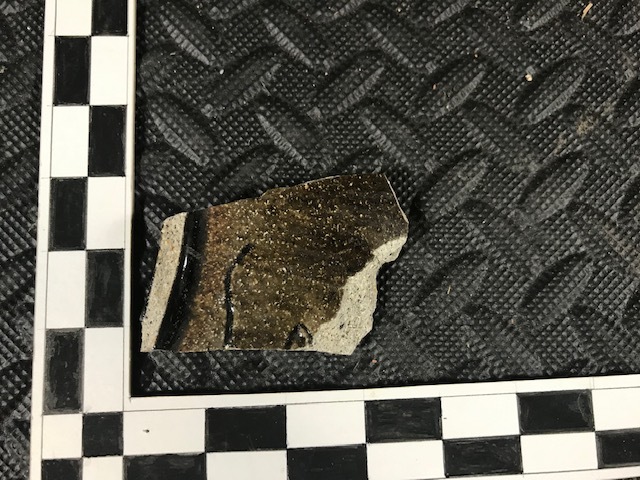 The assistant walked over the area once occupied by Baynham – and then told the landowners that the pottery was typical of late 19th Ohio valley pottery and was of no historical value (Personal Communication, Dr. Michael and Mrs. Kim Fulford, June, 1996). With this assurance, the landowner had a contractor bulldoze most of the site to create fill for a pond dam that was increased in height by some four meters. The dam raised by 12 feet with fill from the Lewis Miles site upstream from the Beaver Dam. 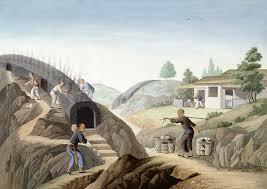 In fact, it was well known at the time that Baynham had been making pottery on the site since about 1870. Baynham’s grandchildren and great grandchildren were residents of the area and the family history was well known at the time. Even colleagues of the Castille team were aware of this history. In 1996 I returned to the Baynham site with the Georgia Archaeological Institute to do a proper assessment of its historical value. On top of the new dam I found pottery sherds that were completely unlike anything Baynham was known to have produced. It was then that it was learned that most of the site had been destroyed and used as fill for the dam based on the comments of Castille’s assistant. We then conducted test excavations on what remained of the site. We found that beneath the Baynham pottery there was another earlier one. It dated to to the 1860s. We reviewed archival research, most specifically Lewis Miles statements about the location of his last pottery – and realized to our dismay that this area, not SunnyBrook was the location of Mile’s last pottery at the Beaver Dam. 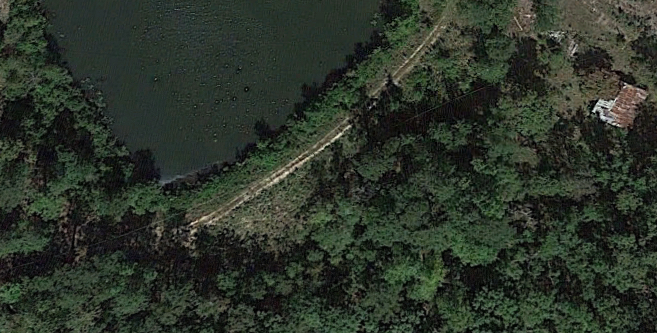 The Beaver Dam was in fact a short distance from the Miles pottery. We found that it had been built with several chutes designed to take power from the head of water in the pond behind the dam. We also found nearby a large pit filled with cow bones. It was clear to us that this was the area where Miles operated his tannery and saw mill. 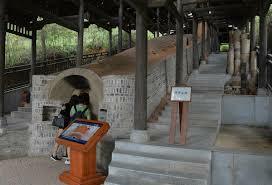 The pottery, a fire hazard for a saw mill, was located at the opposite end of the same pond. As we excavated further we began to find intimations of Dave’s presence, sherds with sgraffito drawings and capacity marks and handles with his massive thumbprints. 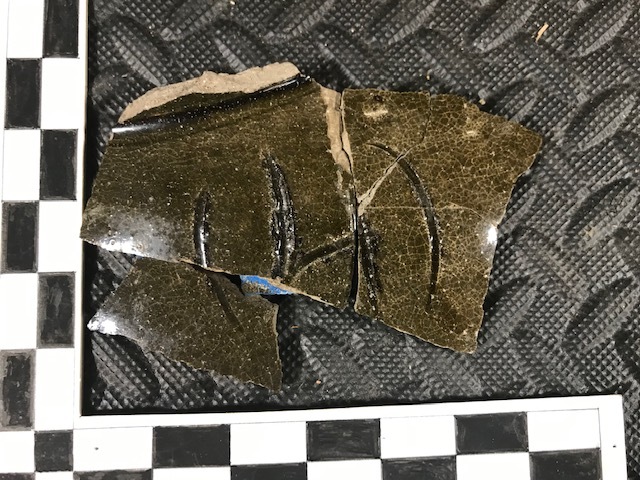 Our search for vessels in collections turned up a jug with an entire letter written on its base! We were also told by local informants that two Scottish potters worked at the site, and that Mile’s son, John Lewis Miles, operated the site for a short period after his father’s death. Capacity sgraffito attributed to Dave. Very flat, wide-lipped necks were a distinctive feature of the pottery from this site. The vessels were skillfully made, the glazes were some of the most beautiful green and brown glazes I have ever seen. Interestingly there is only one other place I have seen this flat neck – on Speyside whiskey jugs that I photographed in Scotland. We have yet to find archival confirmation of these Sottish potters tho. 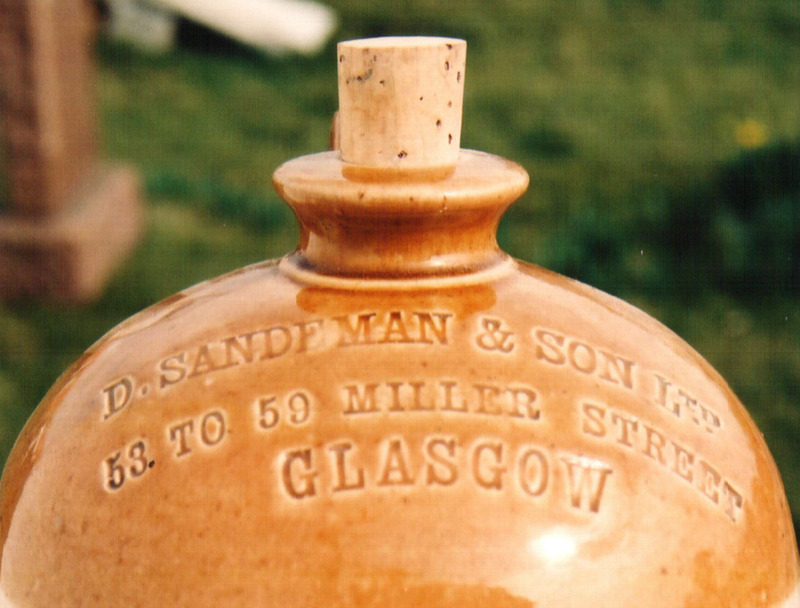 Speyside whiskey jug with flat top neck. Typical flat top neck at Miles Beaver Dam site. During this period I also worked closely with Joe and Fred Holcombe of Clinton, S.C. Fred was the collector who had discovered Stoney Bluff. With Joe and his wife, Fred had spent years combing the Edgefield area, building up a massive inventory of diagnostic sherds and purchasing whole vessels made at each of the pottery sites. The contractor who bulldozed the dam on the last Miles pottery sold Fred a number of Miles pots from the site, some seventeen intact pots had been found during the construction. 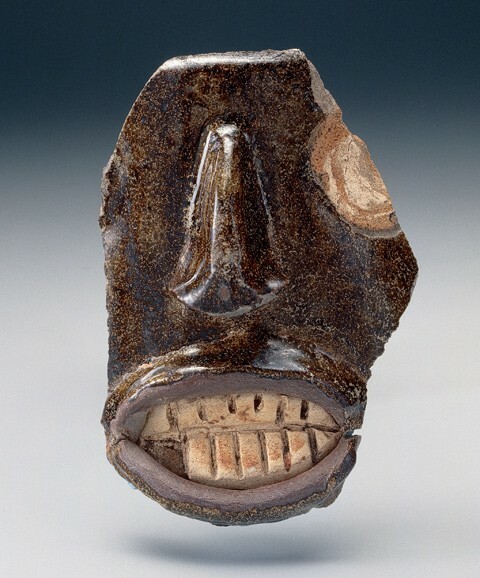 The Holcombes also suggested that this site was also the source of many of the face jugs that had been seen in collections as early as the 1900s. The reason for this was the flat lip necks that the Holcombe had seen on intact jugs recovered from the site by the contractor who bulldozed material for the new dam on Mathis Pond. These necks, the glazes and the body clays were the same as those seen on the face jugs that had been documented in northern collections as early as the 1900s. Surely enough, as we expanded our random test pits over the Baynham pottery, we encountered one spot where we found waster sherds from the same type of face jugs documented in the early collections. 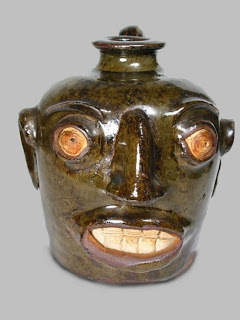 We were the first to discover the manufacturing source of the intriguing Africanized face jugs. There will be a complete article on these face jugs in a future post and YouTub.com Archaeonaut Channel program. Face jug with same flat top neck, glaze and body clay as the Miles Beaver Dam site jugs. 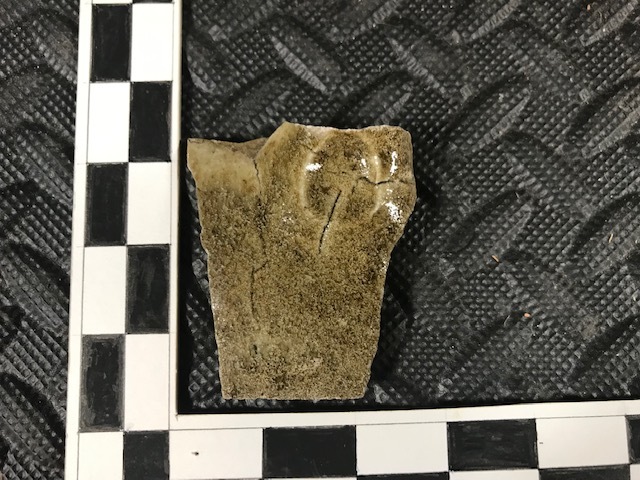 Face Jug frag (one of several thousand frags) recovered at face jug production site near the Miles Pottery. Stoneware pots…might not sound interesting to many people…but then when you consider pots that are the most collectable in America, pots that are the most rare and valuable…pots that are considered an early American art form…pots that connect us directly to the magic and pathos of Western Africa in the 19th Century, and even spring from industrial secrets stolen from ancient China…then you have some stories you might want to hear. My name is Mark Newell. I have searched, collected and excavated stoneware potteries for more than thirty years. Over the next few programs I will introduce you to the fascinating story of stonewares made in the potteries of the Old Edgefield District in South Carolina. In each program I will introduce you to the major potteries and show you a range of the wares they produced. 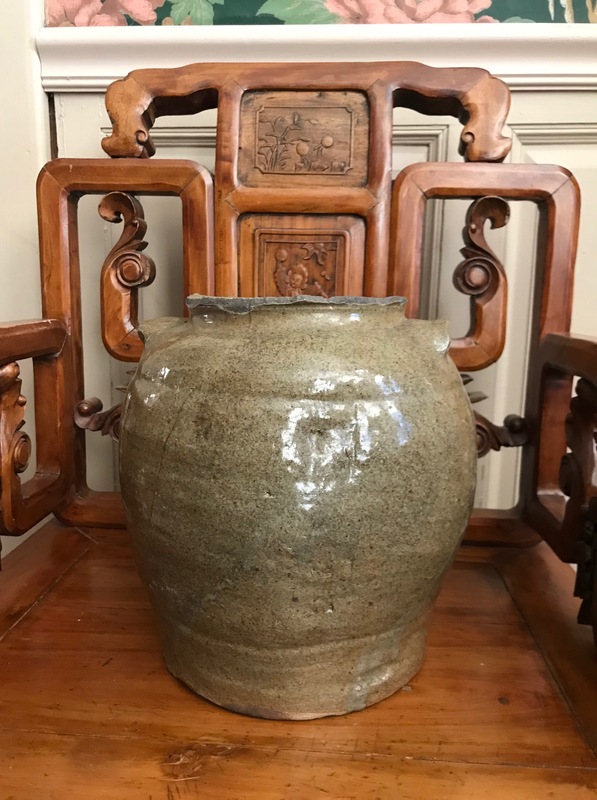 We will look at the features that distinguish one pottery from another, talk about the richly colored glazes, the pottery marks, capacity marks and more. The programs will give you a basic overview of the Edgefield potteries, the men – and women – behind the pots – and the stories that make these unique vessels sing to us about the rich traditions of Edgefield’s chapter in the story of Southern Pottery. 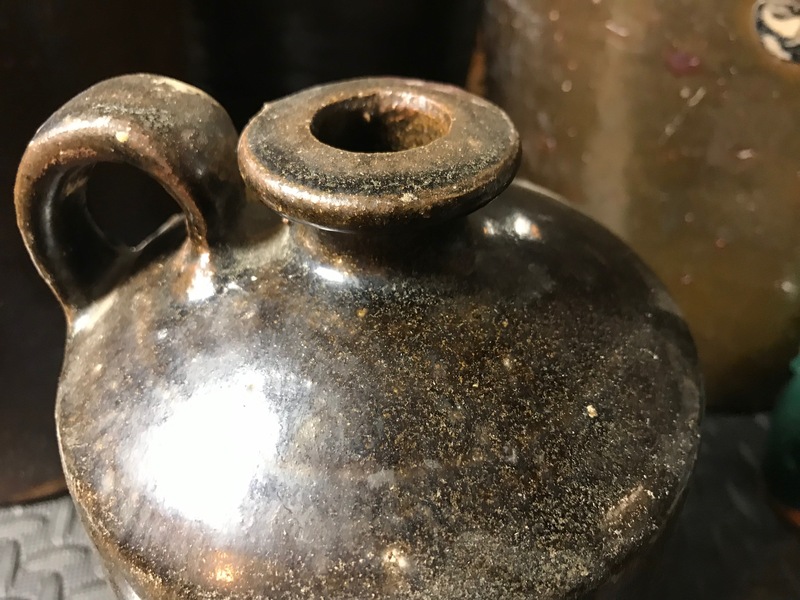 The first stoneware pottery was built in an area called Pottersville doubtless to meet the growing need for utilitarian storage vessels for everything from whiskey to turpentine, preserves and even bear meat. In those days this was the American frontier and finished goods from Europe were hard to come by. 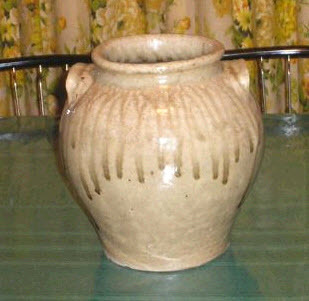 Typical storage jar from Landrum’s pottery. 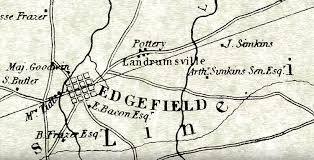 That first pottery I mentioned was started by Abner Landrum around 1800 just outside the town of Edgefield . 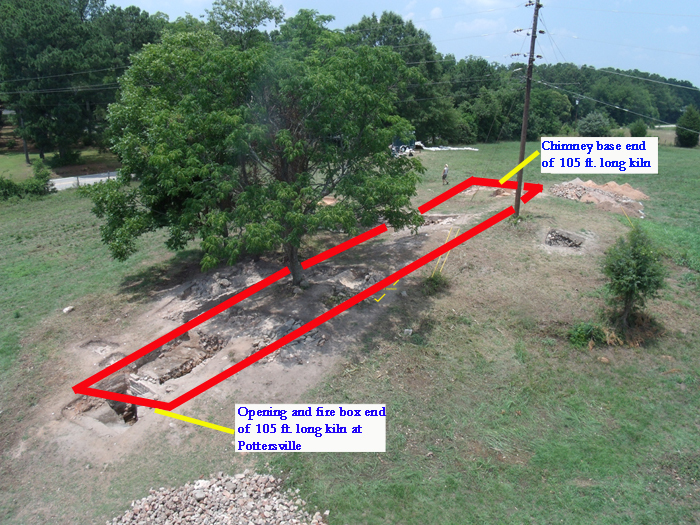 When the site was finally excavated recently it was discovered that Landrum had built a 100 foot long Chinese style ‘dragon’ kiln. 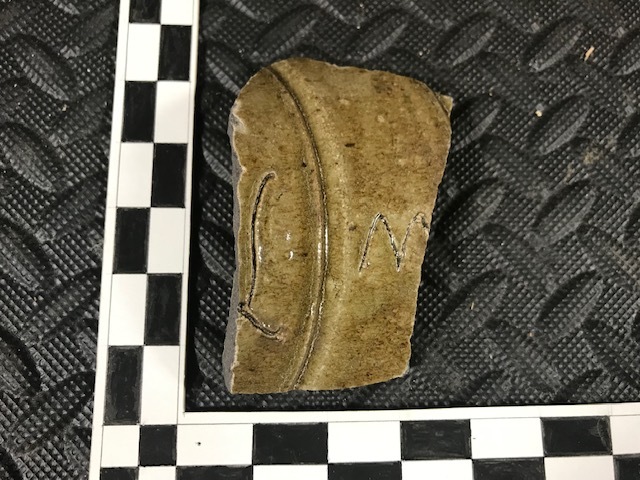 Prior to this excavation there had been much debate about how Chinese style ash glazes came to be used in South Carolina in the 1800s. Many collectors liked to believe it was American co-invention. 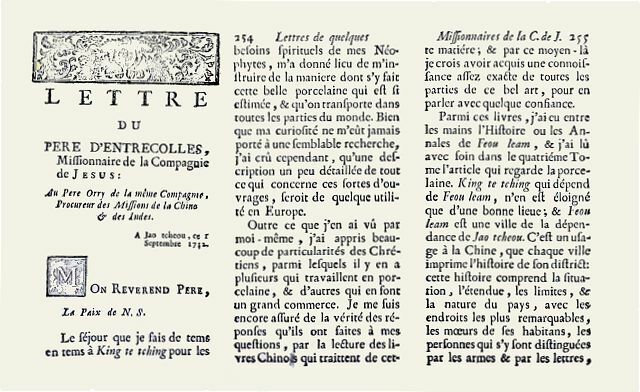 In fact a Jesuit priest in China, Father d’Entrecolles sent highly detailed information about porcelain manufacturing back to Europe in 1722.
d’Entrecolles letter published in France 1722. 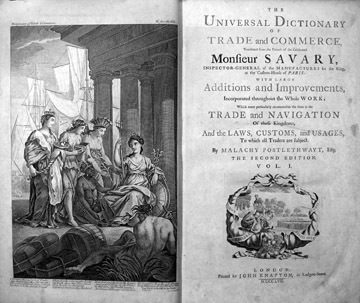 The English trade directory that reproduced a translation of d’Entrecolle’s letter in 1755. That information was published in an English dictionary of trade of commerce – and this almost certainly was the source of Landrum’s knowledge. [Insert trade Dict picture]. Landrum was initially interested in producing porcelain – but does not appear to have ever been successful at it with his Dragon Kiln. He respond to the demand for utilitarian stoneware though – and so started the expansion of the pottery industry in South Carolina. Within a short while of the start of the Pottersville operation, Landum’s brothers Amos and John started their own operations on Edgefield’s Horse Creek – the remains of finely bricked waterways can still be found at these sites. Dave may have worked at Landrum’s Edgefield newspaper “The Hive” and it is thought that it was here that he learned to read and write – supposedly an illegal activity for slaves at the time. 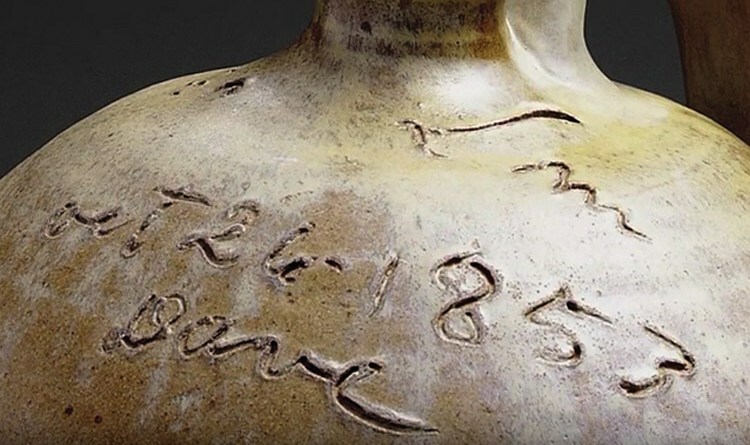 We know his story because he often wrote dates, his owner names and even short poems on many of his pots. Some of them were very large – up to 40 gallons. Large storage jar made by Dave and inscribed with a couplet. They are among the most highly prized vessels by collectors and museums. We will devote an entire program to Dave later on in this series. Landrum. it is clear, was very liberal in his views..something that made him unpopular in The Old Edgefield District which was firmly committed to the institution of slavery. As a result, Landrum moved to Columbia, South Carolina in 1830 and started a new pottery and brick operation – and a newspaper there. His most famous potter, Dave, remained in Edgefield, becoming the property of Landrum’s son-in-law, Lewis Miles – the next Edgefield Potter we will discuss. There are many Landrum Potterville pots to be found. They are most often large ovoid posts with a rich, runny glaze and a double collared neck. 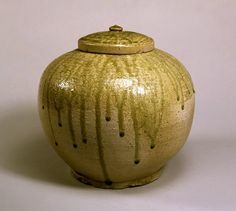 Some pots, such as this storage Jar appeared to be crude, even made by inexperienced hands. This pot is attributed to Dave and may be one of his earliest pieces. Next program, Lewis Miles – and the loss of two of his pottery sites to pots hunters and bad archaeological judgment.